Sennheiser DW Pro1 (DW 20) Headband Wireless Headset. 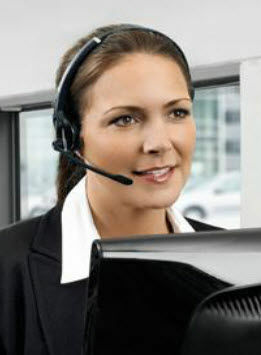 The DW Pro1 is one of the best wireless headsets on the market, and is a single-sided DECT wireless headset that can be used for your desk phone, as well as your softphone. It is specially designed to meet the needs of all-day users and experienced professionals alike. 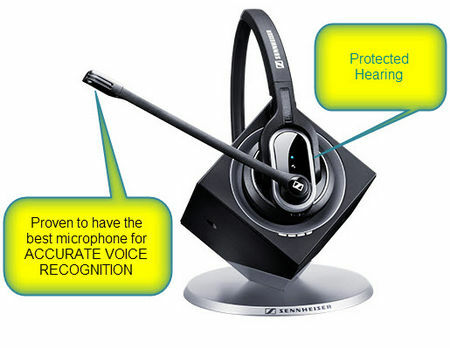 This headset looks and sounds great with Sennheiser best-quality speakers and ultra-noise cancelling microphone. Extensive testing by our customers has proven this headset to be the best wireless headset for speech recognition applications, including Dragon Dictate. Has a range of Electronic Hookswitch (EHS) cables to suit most modern phones.